There's a funny scene in "The First Wives' Club" when a drunken Goldie Hawn, bemoaning men's ability to age more gracefully than women, spews out "Sean Connery's about 700 years old and he's still a hunk." This 1993 film proves her point. Connery is cast as the sage-like JOHN CONNOR, a semi-retired LAPD Detective, expert in Japanese culture, and he's as dashing as in any James Bond vehicle. The ingenious pairing of Connery with Wesley Snipes makes for the most likeable cop couple since Mel Gibson and Danny Glover did the "Lethal Weapon" trilogy; and Harvey Keitel is delightfully lewd as Snipes' corrupt, Oriental-hating boss. So many critics trashed director Philip Kaufman because his script is not faithful to the novel by Michael Crichton. The Japan-bashing was toned way down. Who cares? A movie needs only to entertain me--if I want to be preached at I'll go to church. In the book Lieut. WEB SMITH is white, but casting Snipes as Smith only adds to the story and brings humor as well as tension to the partnership with Connor. When Connor asks to be called SEMPAI(mentor) in front of the Japanese (because in Japanese business deals a junior and senior partner always work together) an offended Smith barks "That wouldn't be anything like Masa', now, would it?" It's amusing later on when Web is surprised to catch himself, a black man, making a racial comment about Asians. The movie's opening is clever. 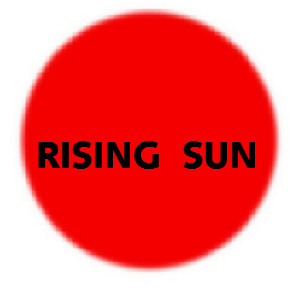 When I saw it first in the theatre I thought a mad projectionist slipped in a western instead of "Rising Sun." Then you hear a honky-tonk piano and a Japanese voice break into "Don't fence me in.." The camera pans to a bar and you realize the western footage is part of a Karaoke screen. It's hysterical watching Japanese gangster EDDIE SAKAMURA(CARY-HIROYAKI TAGAWA) and his "backup Yakuza singers" taking the song so seriously. Eddie stops only when his American beauty queen lover, CHERYL AUSTIN, walks out of the bar on him. He goes after her and threatens violence. Connor and Smith find out from a security guard that there are observation cameras all over the building taping everything that goes on 24 hours a day (the Japanese spy on their employees); and there should be a laserdisc showing exactly what happened in the boardroom. But that disc is mysteriously missing. Next they check out the dead girl's apartment in a "betteku", or residence where Japanese men house their mistresses. They find pictures of Cheryl with Eddie, who Connor recognizes as an old friend. A girl from down the hall even implies that Eddie must have done it. But Connor knows that's too simple to be true. When they interrogate Eddie (after a hilarious scene in which Connor takes out one of Eddie's bodyguards) Eddie insists he had nothing to do with it but promises to deliver some evidence to them. Of course it's the missing disk. Eddie is killed in a not-so-accidental car crash and ISHIHARA gives them the disk. An electronics video expert friend of Connor's named JINGO(Carrere) discovers that someone tampered with the disk and removed the true face of the murderer. Eventually she is able to undo those alterations and reveal the true killer. Yes, the anti-Japan sentiment was toned down for movie audiences...there are more cut-throat manipulating Americans in the film than Japanese, but rightfully so. Connor at one point states that "Americans are always playing catch-up to the Japanese." Whose fault is that? Yoshida-San, the head of Nakamoto, tells a character in the film who complains about Asians taking over the U.S. "if you don't want Japanese to buy it don't sell it." In English that means if you sell out, don't try to blame the buyer.